1. These terms and conditions apply to contracts for the rental of hotel rooms for accommodation and all services provided to the customers for other services provided by the hotel. 2. The subletting or re-letting of the rooms and their use for purposes other than accommodation require the prior written consent of the hotel. 3. Terms and Conditions of the customer shall only apply if this was expressly agreed beforehand in writing. 1. A contract comes into effect through acceptance by the hotel of the customer’s order. The hotel is free to confirm room bookings in writing. 2. All claims against the hotel shall lapse one year after the commencement of the general statute of limitations dependent upon knowledge of § 199 para. 1 BGB. Claims for damages shall become statute-barred, irrespective of such awareness, within 5 years. The limitation periods do not apply to claims which are based on an intentional or grossly negligent breach of obligation. 1. The hotel is obligated to keep the booked rooms and to provide the agreed services. 2. The customer is obligated to pay the applicable or agreed-upon price for rooms provided and used, and for other services, where applicable, upon hotel checkout. This also applies to costs incurred for services or expenses incurred by third parties. 3. The agreed upon prices include applicable VAT. If the period between contract signing and contract fulfilment exceeds four months and if the price generally charged by the hotel for such services increases, this can increase the contractually agreed upon price appropriately by a maximum of 5%. 4. The rates of the hotel may be further modified if the customer later wishes to make changes to the number of rooms booked, the hotel’s services or the duration of the guests, provided the hotel agrees. 5. Hotel bills without a contractually agreed-upon due date are to be paid within 14 days of receipt of invoice without deduction. The hotel is entitled to call in outstanding payments at any time and to demand immediate payment. In case of default the hotel is entitled to demand the applicable statutory default interest in the amount of, currently, 8% or, with legal transactions with a consumer in the amount of 5% above the base rate. The hotel reserves the right to prove higher damages. 6. The hotel is entitled to demand upon signing of contract or thereafter, observing the legal provisions for package tours, a reasonable advance payment or security. The amount of the advance payment and payment dates may be negotiated in the contract. 7. Only undisputed or legally binding claims may be set off by or credited to the customer against claims of the hotel. 1. For individual bookings, a cancellation of 3 days before the arrival date may be made without triggering payment or reimbursement claims by the hotel unless there is a contractual agreement made beforehand which states otherwise. 2. Cancellations have to be written and will also be confirmed in writing. The hotel does not accept cancellations by phone. 3. If the customer withdraws or cancels a reservation after this period, the hotel is entitled to the contractually agreed upon remuneration less the expenses saved. This does not apply to breach of the hotel’s commitment to take into account the rights, objects of legal protection and interests of the customer, if this holding to the contract is no longer reasonable, or another existing statutory or contractual cancellation right. The Hotel has the right to charge the contracted remuneration and calculate a flat-rate for saved expenses. 5. If you book via a booking portal like booking.com, hotels.com etc., all cancellations and alterations must be processed via that booking portal. – Up to 6 weeks before arrival, all rooms can be cancelled free of charge. – Up to 4 weeks before arrival, 50% of the rooms can be cancelled free of charge. The other 50% will be charged with 80% cancellation fee. 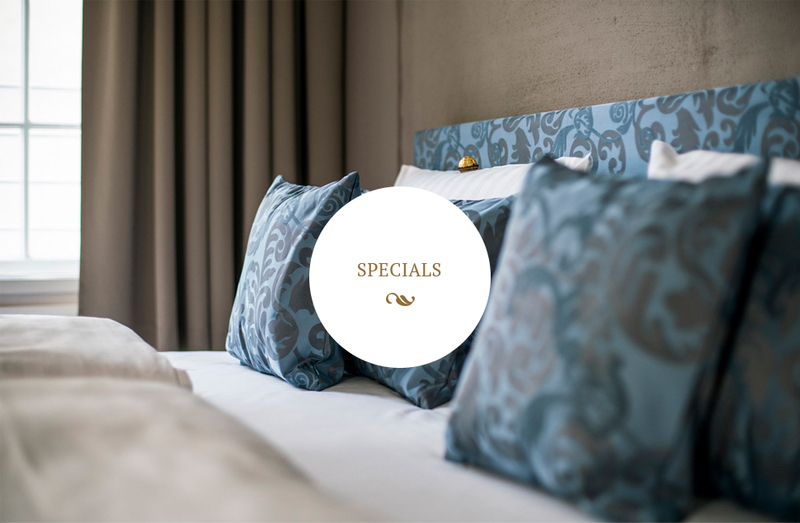 – Up to 2 weeks before arrival, 25% of the rooms can be cancelled free of charge. The other 75% will be charged with 80% cancellation fee. – Up to 1 week before arrival, 10% of the rooms can be cancelled free of charge. The other 90% will be charged with 80% cancellation fee. – All rooms of group bookings that are cancelled less than one week before arrival, will be charged with 80% cancellation fee. 2. An increase in the number of people must be confirmed by the hotel. 2. If an agreed advance payment or an advance payment demanded pursuant to Item III, Nr. 6 and 7 is not made even after a reasonable grace period set by the hotel has expired, then the hotel is likewise entitled to cancel the contract. – by force majeure or other circumstances beyond control of the hotel performance of the contract is made impossible. – there is a breach present of clause I. sec. 2. 4. If the Hotel justifiably withdraws, the customer is not entitled to damages. 1. The customer has no right to be provided specific rooms. 2. Reserved rooms are available to customers from 15.00 on the agreed day of arrival. The customer has no right to earlier availability. 3. On the agreed departure day, hotel rooms are to be vacated at 11.00 at the latest. Afterwards the hotel is entitled, due to the delay in vacating the room and for exceeding the contractual utilization to 15:00, 50% of the full accommodation rate (list price), and 100% from 15.00. Contractual claims of the customer are not hereby justified. The customer is at liberty to show that the aforementioned claim mentioned was not created or not created in the amount demanded. 4. Pets are not allowed at the hotel. In case of non-compliance, the hotel reserves its right to request extra charge for cleaning and compensation for damages. 5. Smoking is not allowed in the whole hotel. Should you smoke in your room, we charge 100 Euro compensation fee. 6. The booking of hotel parking is subject to availability. The time for booked parking spaces is from 15h on the arrival date until 11h on the day of departure. For parking, the same cancellation fees are valid as for the rooms booked. 7. Snacks and Drinks ordered before arrival cannot be reimbursed. 1. The hotel is liable with the diligence of a prudent businessperson for its obligations under the Treaty. Customer claims for compensation are excluded. This does not include damage resulting from injury to life, limb or health, if the hotel is responsible for the breach of duty, or other damages based on an intentional or grossly negligent breach of obligation and damage caused from an intentional or negligent breach of typical contractual obligations of the hotel, or a breach of obligation by a legal representative or vicarious agent. Should disruptions or defects in the performance of the hotel occur, the hotel will endeavor with knowledge or on immediate complaint of the customer, to take remedial action. The customer is obligated to contribute reasonably to resolving the disruption and to keep any possible damage to a minimum. 2. For property brought into the Hotel, the hotel is liable to the customer in accordance with statutory provisions, up to one hundred times the room rate, not exceeding 3,500 Euro and for cash, securities, and valuables up to 800 Euro. Money and valuables can not be stored in the hotel. Liability claims expire unless the customer notifies the hotel immediately after gaining knowledge of the loss, destruction or damage (§ 703 BGB). For a more extensive liability of the hotel see sentences 1, 2 to 4 accordingly. 3. If the customer has a parking space in the hotel garage or a hotel parking lot, even if a fee is paid, this does not constitute a safekeeping agreement. For loss of, or damage to, the hotel property, parked vehicles or otherwise and their contents, the hotel is not liable, except for wilful misconduct or gross negligence. No. 1, sentences 2 to 4 apply accordingly. 4. Wake-up calls are carried out with the utmost care. Messages, mail and merchandise deliveries for guests are handled with care. The hotel will deliver, hold, and – on request and for a fee – forward delivered materials. Sentences No. 1, 2 to 4 apply accordingly. As of 1 January 2014, Berlin has introduced a tax that applies to vendors in the hospitality industry that receive an income for providing overnight accommodation. Overnight accommodation includes payments received for overnight stays even if the premises are independently located from that of the vendor. Any cancellation of previously agreed or contractual payments will not be taxed if the accommodation was not utilised as no accommodation has been provided by the vendors. Any professional expenditure arising from the maintenance of overnight accommodation will be not be included as taxable income. 1. Changes or additions to the contract, the acceptance of these Terms and Conditions for Hotel Accommodation should be made in writing. Unilateral changes or additions by the customer are ineffective. 3. The entire legal and contractual relationship between the customer and the hotel will be subject to German law. The application of the CISG and the conflict of laws is excluded. 4. In the case of a legal action against the traveller, the residence of the traveller as stated in the booking request is decisive. For complaints against customers or contracting parties of the travel contract, the merchants, legal entities under public or private law or persons who have their domicile or habitual residence abroad, or whose domicile or habitual residence at the time of action is not known, the agreed jurisdiction is the location of the hotel. 5. The aforementioned provisions shall not apply if and insofar as something else necessarily follows from international agreements or provisions of the EU in favor of the customer. 6. Should any of these terms and conditions be invalid or void for hotel accommodation, this shall not affect the validity of the remaining provisions. In addition, the statutory provisions apply.